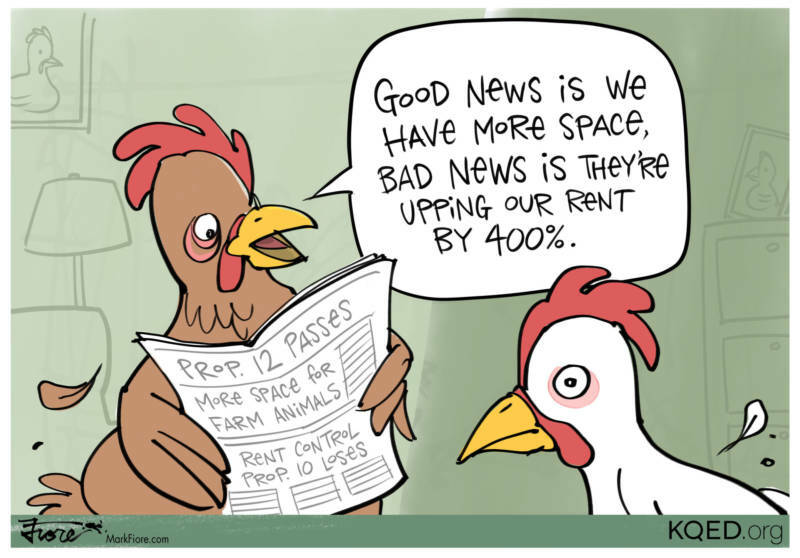 California voters approved giving farm animals more space, while rejecting a possible expansion of rent control. Proposition 12 bans the sale of veal, pork or eggs from animals housed in tight cages. Proposition 10, had it passed, would have repealed the Costa-Hawkins Rental Housing Act and allowed cities to once again pass rent control measures.